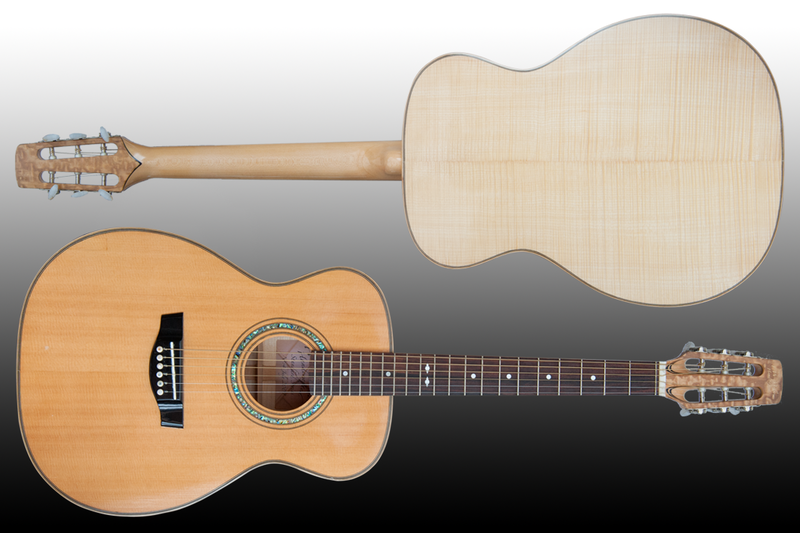 Back & Sides: Flame Maple, David Dyke, UK. 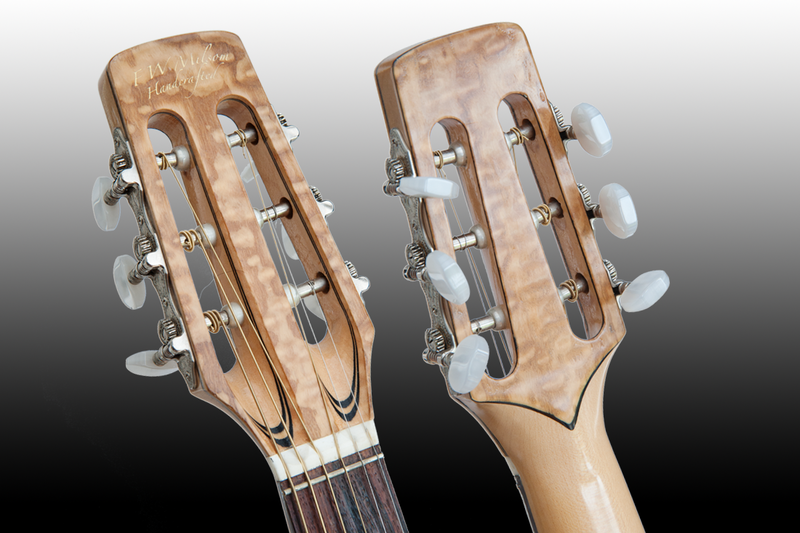 Maple headstock with hardwood face and backing veneers. Black and white accent lines show the contour of the slots. Ebony bridge with a single piece compensated saddle. Rosette is formed from bwb lines enclosing an abalone shell ring. 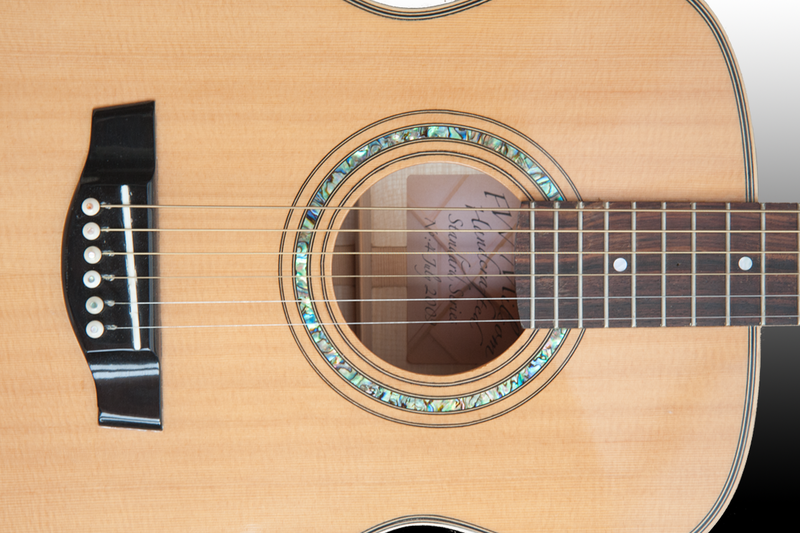 Fretboard is East Indian rosewood with simple mother-of-pear dot inlays. Maple neck into the flame maple sides. 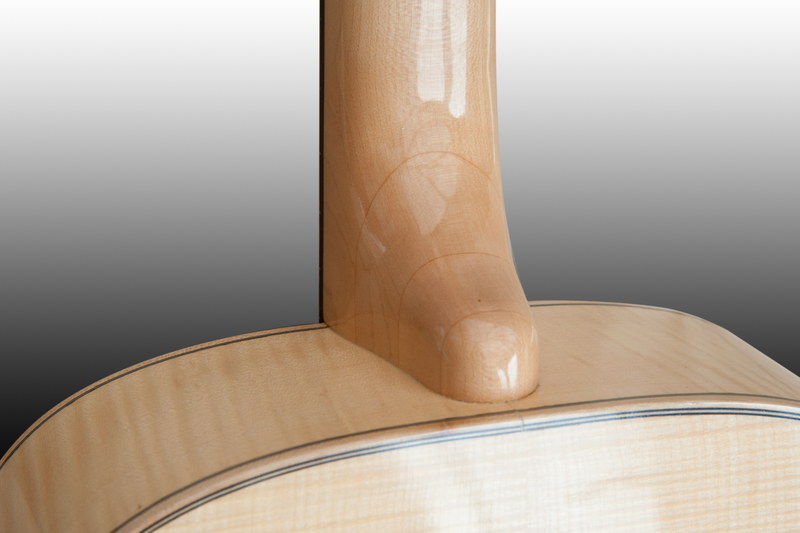 The heel has been rounded and stopped short of the back plate to allow the bindings to carry through.